Prepare to step into a world of chivalry, art, and camaraderie! 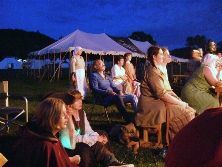 The Society for Creative Anachronism (SCA) has over 100,000 participants worldwide who recreate different aspects of the Middle Ages and Renaissance. 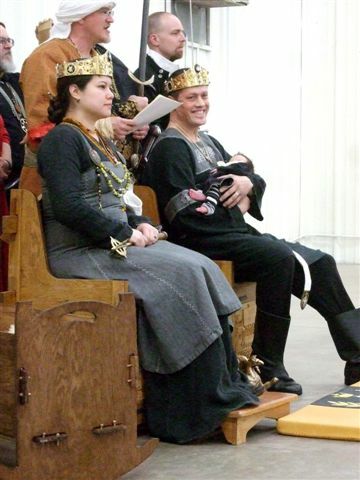 Members learn about the eras they recreate through research, by wearing the clothing of the time, engaging in heavy weapon and rapier combat, in addition to thrown weapons, archery, various crafts, arts and sciences practiced between 600 and 1600 AD in Europe. These include a wide variety of topics, clothing, food, armor, music, brewing and much and more. Nearly any art or craft that was done during the era is done by someone in the SCA. Events are held year around, ranging from simple get together to learn new skills and discuss your interests. Their are fun weekend camping events almost every weekend during the summer (and even some in the winter) within driving distance of our area! 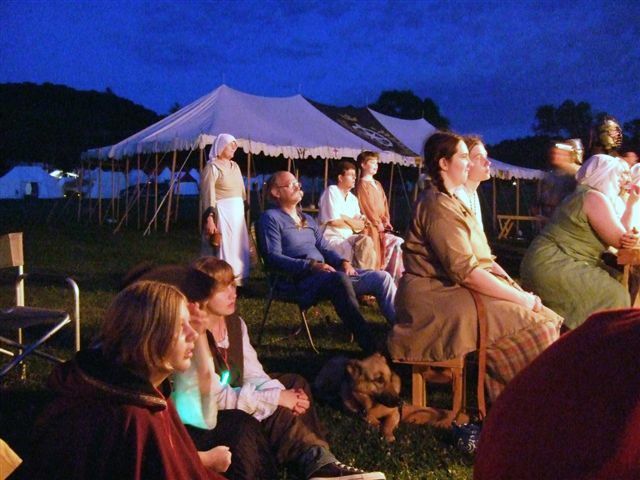 Then their are the great events such as the annual Pennsic Wars lasting several weeks with attendance surpassing 10,000 people with every art, craft and combat method from the middle ages possible. For more information on the SCA, a great introductory resource for newcomers is available at SCA Demo. For more detailed information, the official SCA site has some great resources at Newcomers Resources. Coille Stoirmeil is one of many groups within the SCA. We are based in Monroe and Juneau counties in Wisconsin. Our territory including the communities of Tomah, Sparta, Mauston, New Lisbon, Necedah, Elroy, Warrens, Cashton and others. For military personnel, we also cover the military installations of Fort McCoy and Volk Field. If you are interested in the SCA, but live else where, move to our area and join us! Or more simply, find your local group!